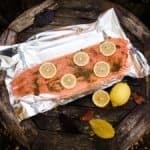 Salmon isn’t just for summer, it’s one of the easiest fish to cook and very popular with the whole family all year round and this Baked Salmon with Herbs is really easy to make and feeds a crowd. It’s also a myth that fish is expensive, there are some really good deals in fish if you look out for them, I got this side of salmon for £10 and you could feed 6 adults generously which I think is a bit of a bargain. A great crowd-pleaser, that pleases the cook too, as it's simple to prepare and provides a delicious feast. Wash and the salmon and dry with kitchen paper. 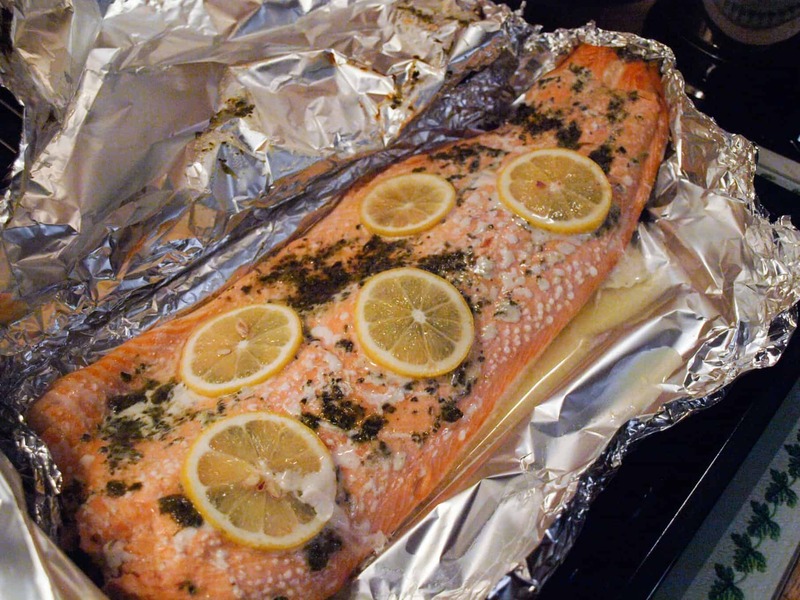 Line a baking tray with foil and place the salmon on top, brush the salmon with oil and sprinkle over the herbs, top with slices from half a lemon. 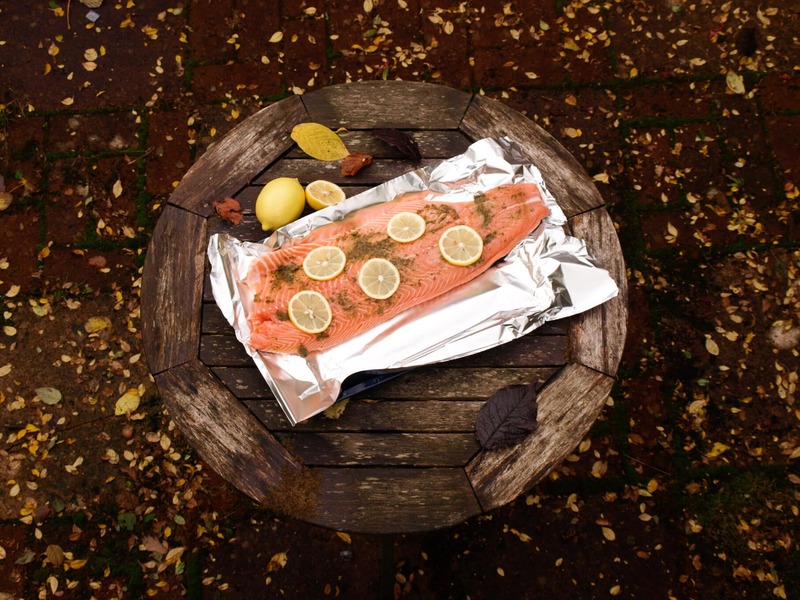 Lightly season, then cover with another sheet of foil and crimp the edges so that the salmon is sealed in a foil parcel. Bake in the oven at 160 C for about 30 minutes until the salmon is opaque. Serve with new potatoes and a green vegetable. Alternatively, leave to cool in the fridge and serve cold with a variety of salads. This is a good recipe to prepare in the morning, stick in the fridge all parcelled up and then simply preheat the oven and pop it in. It will be ready in the time you have cooked the vegetables. 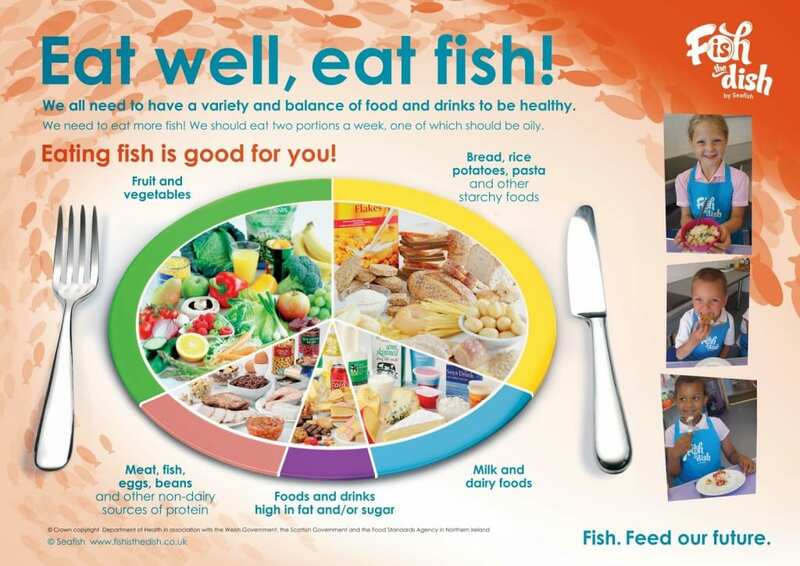 I’ll be posting more fish recipes over the next four weeks as part of a campaign by Fish is the Dish to encourage the people of Britain to each more fish, watch out for them. 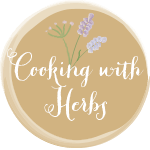 I’m entering this dish into the Cooking with Herbs challenge run by Karen at Lavender and Lovage, the theme this month is ‘Scarborough Fair’ as I have parsley and thyme in this dish it should fit the bill! I have always loved salmon, it used to be such a treat and expensive, now the farmed salmon is probably cheaper than your Sunday Roast! Yes, it's an easy meal and goes a long way. For some reason don't eat enough baked salmon. I need to change that Janice starting with your recipe.. I love fresh salmon and buy great big pieces, cut up into our sizes and freeze – It's great to have in the freezer!